Photo of the Week. 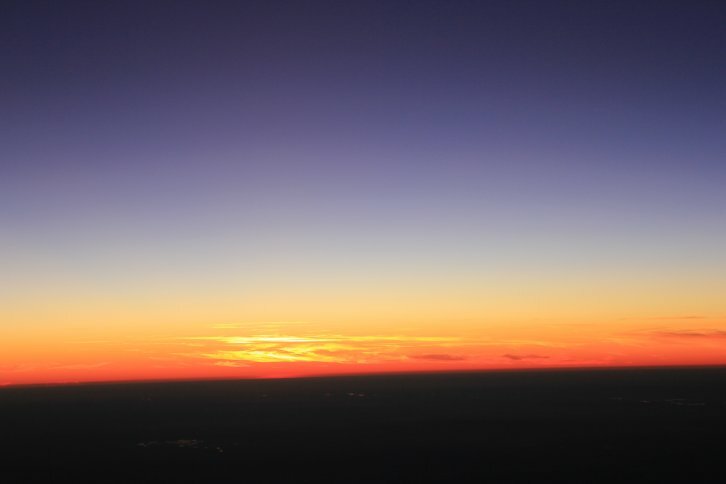 The 30,000- foot sunset deepens. Astronomy news for the week starting Friday, February 25, 2011. With the last (third) quarter immediately behind us, the Moon launches into its waning crescent phase, which will occupy the week until it goes through new next Friday, March 4. 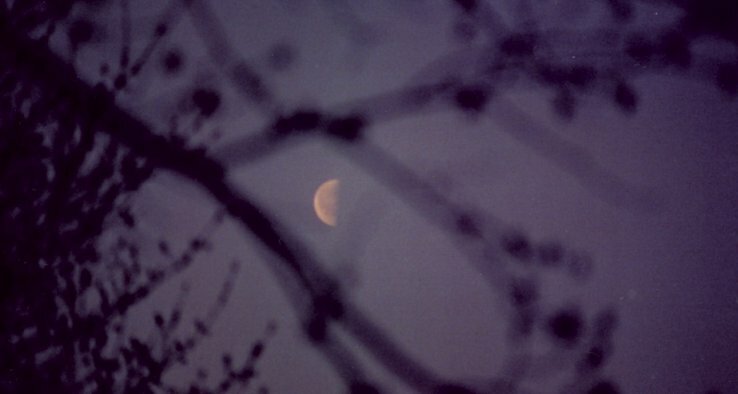 Your last glimpse of the ultrathin crescent will be the morning of Thursday the 3rd. 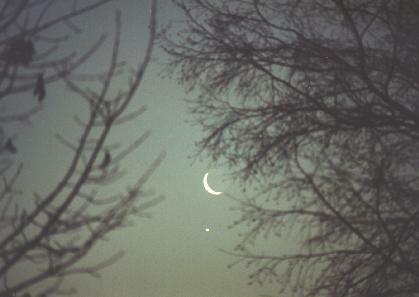 Be sure to get up early enough to be charmed by the crescent playing with Venus. The morning of Monday, February 28th, the Moon will shine up and to the right of the brilliant planet, while by the next morning they will have switched places, the Moon glowing down and to the left of the second world from the Sun. 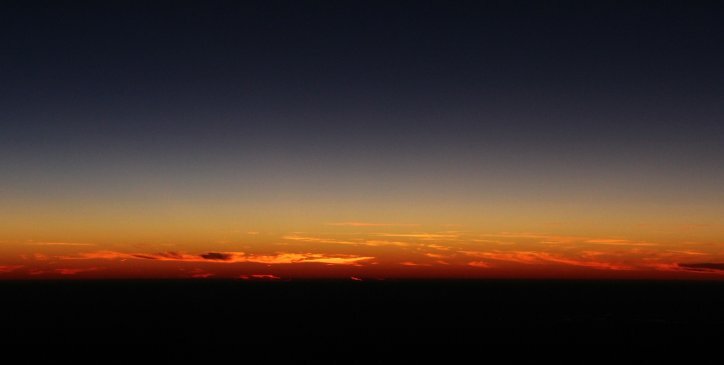 "Early" does define Venus, as it rises around 4:30 AM, about half an hour in advance of twilight. 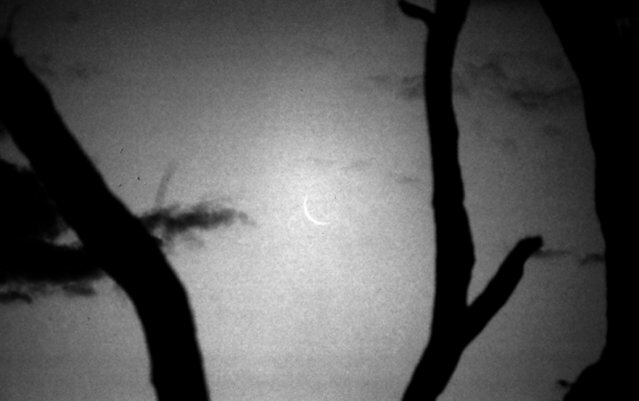 Yet there is a saving grace, as the planet is so bright that you can easily see it -- and its relation to the Moon -- in bright twilight shortly before sunrise. By the time Venus comes up, Saturn is already well over in the west, having passed the meridian to the south around 2:30 AM. The pairing with Spica, which lies just to the southeast of Saturn, makes for a striking sight. Becoming ever more an evening object, the ringed planet now rises just after 8:30 PM, only half an hour after Jupiter sets. So to see the "big guy" you need to look plenty early, just after the sky begins to darken and the giant planet gets lost behind the trees. In part, though, Jupiter's loss is as much the fault of the end of twilight getting later (now rather well after 7 PM) as the Sun slowly moves north, advancing toward the Vernal Equinox and the first day of northern spring. Again admire Orion, which is now crossing the meridian to the south as the sky fully darkens. Beneath the mythical Hunter is a pair of distorted joined boxes that represent Lepus the Hare, and below that is a lovely small flat triangle that makes the modern constellation of Columba, the Dove, meant to commemorate that of Noah. Commonly lost to trees, buildings, and horizon haze, Columba is a full 35 degrees south of the celestial equator, and from mid-northern latitudes crosses the meridian only 10-20 degrees above the southern horizon. Columba is most famed for Mu Columbae, one of the first known "runaway" stars, which result from interactions between double stars (as is apparently the case for Mu Col) or are ejected from doubles when one member explodes as an off-center supernova.